Save the Wader campaigns to protect a vulnerable species of bird whose numbers are in sharp decline. Wading birds are part of our national heritage; quietly iconic, the call of a curlew is spine tingling � but this is an increasingly rare sound as waders of all types are in danger of disappearing throughout much of the country. Save the Wader believe that it is about time something was done to stop this happening; reversing the decline of once common and widespread species must remain a key challenge in bird conservation. This website sets out the factual information behind the decline in wading birds and explains what you can do to help our campaign. The Merchant Taylors' Company is one of the Great Twelve Livery Companies of the City of London. Livery Companies or Guilds as they were previously known, began in mediaeval times as fraternities often religious but also to protect the interests of particular trades. There are now 107 City Livery Companies. Their current activities are mainly charitable although some have retained a trade or industry role. Joanna May is a "listed artist". Her work has sold at Christies Auctions. She is recognised and collected in the Art Market and has a listing in "Who's Who in Art". Through popular demand she opened her own gallery in the year 2001 in Marlborough, Wiltshire for a continual display of her work which is now sought after in this country and abroad. The Merchant Taylors' Catering Company. Mullioned windows overlook a tranquil secret garden; chinoiserie clocks and old brocade enrich panelled rooms; sunlight floods through stained glass to warm mahogany and gilt. Yet for all its grandeur and tradition, as a venue, Merchant Taylors� is right up to date. Our professional team has hosted events from award dinners to press conferences via fashion shows, barbecues and weddings. The Great British Kitchen is one of the web sites of the British Food Trust. The site is a major resource for all those in the UK and around the world who are enthusiasts for British cooking, its past traditions and future potential. We redesigned the site and provided a fully managed service for three years. At the end of 2003 changes in the funding of the British Food Trust mean that the site had to exploit the commercial potential of the Recipe Section and so the site was hosted by the new partners who marketed the recipe book content as part of its PC recipe book application. We continued to manage the domain and provide advice to Scott Anthony the Chief Executive. In 2007 Scott asked us to host and maintain the site once again so it was redeveloped onto the Joomla content management system and the recipe area was transferred to run on the Rapid Recipe component for Joomla. The Countryside Alliance Foundation is a vital new charity set up to co-operate with the Countryside Alliance to build on the element of Alliance work that has always been inherently charitable. This includes educating the public about the countryside and helping to protect the natural environment. By introducing adults and children alike to the dramatic realities of rural Britain, the Countryside Alliance Foundation hope to inspire them to find out more and become passionate enough to share the Countryside Alliance Foundation's aims and values. Taste of the West's vision for the South West is to connect the region's superb farmers and producers, chefs and caterers, distributors, wholesalers and retailers with the market. Taste of the West has been at the forefront of the South West's food and drink industry since inception in 1991. As a Regional Food Group it aims to unite the food chain in the region by connecting it from beginning to end � from farm to fork or plough to plate! Taste of the West is a membership organisation to both the industry and its consumers. In addition to this, Taste of the West delivers support to the industry on behalf of a number of publicly funded initiatives pan regionally, as well as providing specialist consultancy and event services to the industry through its team of industry professionals. GMS Estates is a long established family owned private property investment company. The company, which has been run since 1925 from Great James Street, has a significant property portfolio in both the commercial and residential sectors, together with some industrial holdings. The majority of the company's properties are situated in Central London. Cropwell Bishop Creamery is a family-owned and run company located in the beautiful Vale of Belvoir about 7 miles south east of Nottingham. The Skailes family have been at the heart of the company for 3 generations. In 2006 Ian and David Skailes, the joint Managing Directors, celebrated 25 years at Cropwell Bishop. The Creamery's range of award-winning cheeses include Blue Stilton, Organic Blue Stilton and Blue Shropshire Cheeses, as well as White Stilton and a variety of Speciality White Stiltons. The Creamery�s main objective is quite simply to produce consistently the finest quality, most delicious cheeses and to deliver them anywhere in the world in the best possible condition. Over the years the staff at Cropwell Bishop Creamery have been proud to have had their hard work recognised through the achievement of many prestigious awards. Follow this link to visit the Casting For Recovery UK & Ireland web site (opens in a new browser window). R-Oil is a cold-pressed Rapeseed Oil, a new type of cooking oil made simply by pressing the rapeseed grown on farm in the Cotswolds. R-Oil is entirely natural and unadulterated. Extracted in the same way as extra virgin olive oil but lower in saturated fat (R-Oil: 7%, Olive Oil: 14%), and far more cost effective. The R-oil web site is a promotional site powered by the Joomla content management system. The National Sheep Association is the specialist organisation dedicated to safeguarding the interests and future of sheep farmers throughout the UK. Originally established in 1892, NSA has seen tremendous growth over the past 30 years in both the pedigree and commercial sectors. Today the organisation is recognised by many, including Government, as a first port of call for the provision of sound, practical views on sheep industry issues. The NSA web site is powered by the Joomla content management system and utilises the access control layers to provide information only to its members in addition to the public content. Communications with NSA members is assisted by use of an e-mail newsletter. National Shooting Week gives members of the public the opportunity to try both clay pigeon shooting (with a shotgun) and air rifle shooting. Certain clubs and ranges will take organised groups to shoot targets with fullbore rifles but this is subject to Home Office legislation. The objective of National Shooting Week is to put members of the public in touch with a shooting club or venue near them. 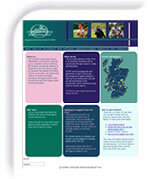 The National Shooting Week web site is powered by the content management system. The �find a venue near you� search is powered by the Streetmap postcode locator interface. Garthorpe Racecourse is situated 5 miles South East of Melton Mowbray and is recognised as the leading Point to Point course in the country. The Racecourse is managed by The Melton Hunt Club and has, over the years, hosted many Championship Races. Bothen Hill Produce was established in 2001 by the de Greeff family. Registered with the Soil Association there are now in excess of 150 types and varieties of vegetables grown on approximately 15 acres in West Dorset. These are marketed through a local box scheme which delivers on a Friday evening within approximately a 5-mile radius of the farm, through Farmers Markets and once a week from the farm gate. The web site is powered by the Joomla content management system and incorporates an on-line order form for taking orders for the box scheme. Follow this link to visit the Bothen Hill Produce web site (opens in a new browser window). The Scottish Countryside Alliance Educational Trust (SCAET) was set up as a Scottish charity in 2003 by the Scottish Countryside Alliance, in response to the very obvious need to reconnect the people of Scotland with its countryside. We realised the need to increase knowledge, awareness and appreciation of the countryside within the largely urban Scottish population. NFSCo is a not for profit, farmer led organisation dedicated to delivering a valued service for the farming community that aims to provide a national service for the collection and disposal of fallen stock that farmers use from choice. Game-to-eat is a campaign dedicated to raising awareness and increasing our enjoyment of game. This web site offers all you want to know about game with informative news clips, comments from celebrity chefs and a whole host of wonderful recipes. Wildlife and Sporting Prints aim to bring you the best possible quality limited edition wildlife prints from some of the UK 's leading wildlife and sporting artists. Their limited edition wildlife prints are TRUE limited editions ranging from 20-75 prints - unlike many other so-called limited editions of 850-1,000 prints. Their artists command prices of �7,000 to �100,000 for their original works.The limited edition runs ensure that exceptional quality control of the image is maintained with prints being hand inspected and signed by each artist - click here to see print mounting for example. All their prints are printed using the Giclee printing process. The Veterinary Association for Wildlife Management (VAWM) has been formed to enable veterinary surgeons collectively to contribute to debates about wildlife management, and to educate and inform others who are interested in the subject, including policy makers. Scottish Food Fortnight, is a national promotion of Scottish food and drink. The campaign was established in 2003 to raise awareness of the quality and variety of food and drink on offer, and to change the habits of what we eat and where we buy it. Producers, retailers, restaurateurs, farm shops, farmers' markets and hoteliers across Scotland host events to promote Scottish produce. The SCA believes that the countryside is much better served with people living and working in it, and that country sports are a fundamental driver of the economy, environment, culture and community of that countryside. The SCA promote this to politicians and the media with informed argument. The Manydown Company Limited is a family owned 5000 acre estate based around the village of Wootton St Lawrence just west of Basingstoke, Hampshire. The company is involved in a wide range of rural activities, employing 22 full time and 4 part time staff and are rightly proud of their long term employment record which reflects the value they place on people within the company. The MFH Association web site helps you find out more about your local hunt and foxhunting in general - What it is - Where it happens - How you can take part or have a look. There are links to to other important sites which include insights into all the key issues - Animal welfare - Jobs - Social and cultural - Pest control as well as a range of other subjects. We advise the MFH Association on their IT requirements, both network and internet. In October 2006 we updated the design of Kate's site to make it more contemporary. At the same time we incorporated the Joomla content management system to power the site. Countryside Alliance Ireland (CAI) is an expert and informed organisation that campaigns for the countryside, country sports and the rural way of life. Working in partnership with Ireland's other field sports organisations, they promote all country sports at the very heart of government decision making. The Countryside Alliance is the largest organisation working for everyone who loves the countryside and the rural way of life. Through campaigning, lobbying, publicity and education the Alliance influences legislation and public policy that impacts on the countryside, rural people and their activities. We helped Bramley and Gage develop their first ecommerce shop online. In 2007 the shop migrated to teh Actinic framework. We continue to provide e-mail and DNS services. Brian Wogan Limited was established in Bristol in 1970 and is now the South West of Englands leading importer and roaster of the world's finest coffees. The Council of Hunting Associations (CHA) was founded in 2001 in order to promote and protect the interests of those who hunt with dogs. It maintains a watching brief over all issues involving hunting with dogs and represents the 11 Hunting Associations. Britsh Food Fortnight is the definitive celebration of the diverse and delicious range of food available in this country and the health benefits - and pleasures - of eating quality, fresh, seasonal and regionally distinct produce. Over 40 organisations are involved, including all three Government Departments responsible for food. AIMS represents small and medium sized abattoirs and provides its members with a collective voice so they can be properly and effectively represented to the UK Government and others. The major proportion of these businesses in England, and an increasing number in Wales, are members of the Association and deal with around half of the nation's animals including traditional, ethnic and other specialist market requirements.